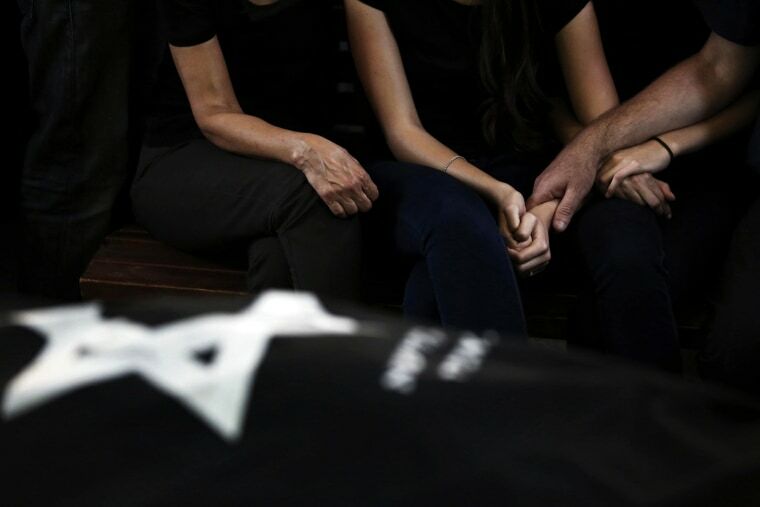 Family members hold hands as they mourn during the funeral of shooting victims, Israeli couple Emmanuel and Miriam Riva, at Kiryat Shaul cemetery in Tel Aviv on Tuesday. Three people were killed and one seriously injured during a shooting spree at the Jewish Museum in Brussels on Saturday. Belgium has launched a nationwide hunt for the lone gunman.